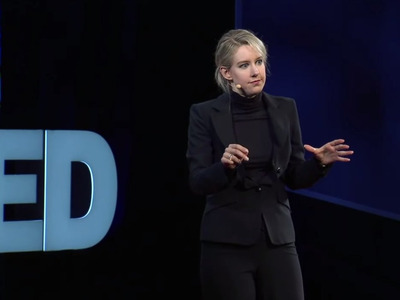 TEDMED/YouTubeElizabeth Holmes, the founder of Theranos and the youngest female billionaire, speaks at TEDMED. As a kid, Elizabeth Holmes spent a lot of time with her uncle. “I remember his love of crossword puzzles and trying to teach us to play football,” she said, while speaking at TEDMED 2014 in San Francisco. She recalled his love of the beach and how she spent summers and holidays with him. But one day he was diagnosed with skin cancer, and doctors soon realised the cancer had already spread. Holmes uses what happened to her uncle as a way of explaining why she started Theranos, a company valued at $US9 billion that’s transforming medicine by re-inventing the blood test. The problem Holmes identified with her uncle’s cancer is that we usually diagnose disease when a person showing symptoms decides to get those symptoms checked out at a doctor. Oftentimes that doctor’s visit happens too late. With Theranos, Holmes says she wants to offer individuals an easier, faster, cheaper way of getting access to their own health information, allowing them to transform their own behaviour or to get treatment for serious health conditions earlier, giving them more time to get help. 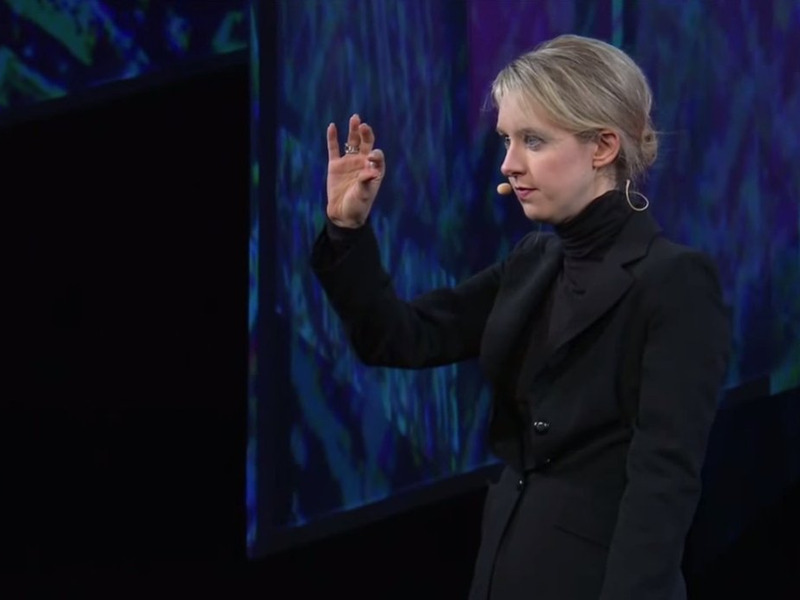 TEDMED/YouTubeElizabeth Holmes holds up a ‘nanotainer,’ which holds the tiny amount of blood that Theranos can use to run over 70 tests. “I believe the individual is the answer to the challenges of healthcare but we can’t engage the individual in changing outcomes unless the individual has access to the information they need to do so,” she said. And the lab tests Theranos provides, in theory at least, should give people much greater access to information — the very information used in 60-80% of clinical decisions, the company says. Theranos has partnered with Walgreens, so that anyone who needs (or just wants) a blood test can walk into a drug store — and not just during working hours. After submitting to a painless fingerprick, Theranos can run over 70 tests on a tiny sample of blood, checking for anything from blood sugar abnormalities to sexually transmitted infections, all for 50-90% cheaper than Medicare reimbursement rates. That model has attracted investors and a notable board of directors. For patients, though, making that kind of health information easily accessible has the potential make doctors visits and associated lab tests easier, cheaper, more convenient, and essentially painless. Still, it remains to be seen whether people will fully adopt the approach she envisions, where individuals track their health with the system “almost the way they might use a bathroom scale to watch their weight,” as Roger Parloff describes it in his excellent Fortune profile of Holmes. If that goal is a success, changing the blood test would really be transforming our whole societal approach towards medicine. Check out the full TEDMED talk below.